Rasmussen finds Mitt Romney now leads President Obama by 6% -- 45% to 39%. That is the biggest lead a named Republican candidate has held over Obama in a hypothetical Election 2012 match-up. It is also a new low for Obama. Previously Obama's support has ranged from 40% to 46% in match-ups with Romney. Romney holds a 20-point lead among male voters but trails by six among female voters. Romney has a 45% to 29% lead among unaffiliated voters. Romney earns an overwhelming 75% of the vote from TEA Party members. Romney leads 51% to 31% among mainstream voters, while Obama has 65% support from the political class. The Rasmussen survey of likely voters was conducted on December 27-28, 2011 and has a margin of error of +/- 3 percent. The RCP average includes polling data from December 19 through 28, 2011. The CNN poll was taken December 21-24 and December 26-27, 2011 and has a +/-4.5 percent margin of error. The Rasmussen poll was conducted December 19, 2011 and has a +/- 4 percent margin of error. The CNN/Time poll found that 44% might change their mind before the January 3, 2012 caucuses. The bottom line is that five days before the Iowa Republican Presidential Caucuses we do not know who will come out where. Wishing you and your loved ones a very merry Christmas. 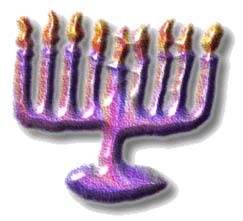 Hanukkah began at sundown and continues for 8 days. Paul Greenberg explains Hanukkah's heritage of hope. Writing in the Washington Times in December 2003, Greenberg asks what does this eight-day celebration celebrate? His answer, Hanukkah isn’t about ancient military victories, Hanukkah celebrates miracles and hope. The central metaphor of all religious belief — revealing light — now blots out all the imperial intrigues and internecine warfare. And that may be the greatest miracle of Hanukkah: the transformation of that oldest and darkest of human activities, war, into a feast of illumination. The historical message changes from age to age. The past we choose to remember may be the best reflection of any present. The Democrat-controlled Senate voted 89-10 to pass an extension of the payroll tax cut. According to the Associated Press, the two-month extension requires President Obama to grant a permit for the Canada-to-Texas Keystone pipeline within 60 days unless he determines that the pipeline is "not in the national interest." First of all, any effort to try to tie Keystone to the payroll tax cut I will reject. So everybody should be on notice. If you can stomach it, you can watch Obama say it here. Obama, putting politics before country, tried to kick his decision down the road until after the 2012 elections. The Republican-controlled House didn't let Obama get away with that and passed a payroll tax cut extension bill despite Obama's veto threat. Thrown under the bus by Senate Democrats, Obama again caved. White House communications director Dan Pfeiffer indicated Obama would sign the two-month extension measure. A new Associated Press-GfK poll finds that "52 percent say Obama should be voted out of office." 60% disapprove of Obama's handling of the economy. 59% of Independents disapprove of Obama's overall job performance. Just 15% think the government should have the power to require all Americans to buy health insurance. Only 50% of Democrats support ObamaCare. The new The Associated Press-GfK Poll confirms the findings of last week's CBS News Poll, which found that 54 percent don't think Obama deserves to be reelected. Only 7 percent of Republicans and 37 percent of Independents think Obama deserves a second term. The Associated Press-GfK Poll was conducted December 8-12 2011 and has a margin of sampling error of plus or minus 4 percent. The CBS poll was conducted December 5-7, 2011 and has a margin of error of plus or minus 3 percent. President Obama and the biased media wing of the Democrat Party are heralding the "official" end of the Iraq War. Whatever nuance Barack Obama is now adding to his Iraq withdrawal strategy, the core plan on his Web site is as plain as day: Obama would "immediately begin to remove our troops from Iraq. He will remove one to two combat brigades each month, and have all of our combat brigades out of Iraq within 16 months." All U.S. troops, except for a 159 uniformed troops and officers as well as a marine guard in the US embassy in Baghdad, will be out of Iraq before December 31, 2011, as required by the Status of Forces Agreement President Bush made with Iraq. The Democrats can trumpet the Obama Iraq withdrawal all they want, but it was accomplished right on schedule -- a schedule established by President Bush, not Obama. The poll was conducted November 27-30, before Herman Cain suspended his camapaign. The big question now is whether Gingrich can withstand the scrutiny of being the front-runner. More respondents choose Gingrich as their second choice than any other candidate. Together, 43 percent of likely caucus goers pick him as first or second. The race remains elastic. Eleven percent of likely caucus goers are uncommitted to a first choice, and 60percent are still willing to change their mind. Pluralities of likely caucus goers see Romney as the most electable candidate in the general election, and the most presidential. Gingrich supporters name Romney as their second choice more than any other candidate. Gingrich does best with seniors (37 percent) and very conservative caucus goers (35 percent). He leads with TEA partiers (30 percent), and especially with those who consider themselves strong TEA party supporters (43 percent). 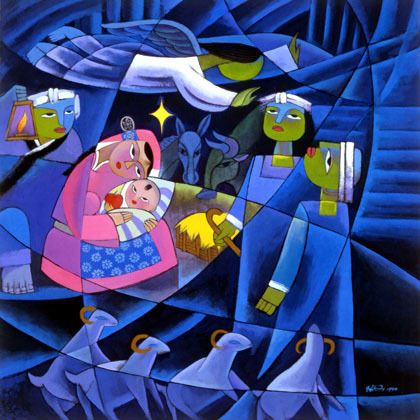 He does better than average with those who are very conservative fiscally (30 percent), very conservative socially (31 percent), and with those who consider themselves born-again Christians (30 percent). Seventeen percent say Rick Perry the candidate they’d most like to see, second only to Gingrich (26 percent). Keep in mind that not a single vote as yet been cast. "So as of today, with a lot of prayer and soul searching, I am suspending my presidential campaign. I am suspending my presidential campaign because of the continued distraction, the continued hurt caused on me and my family. Not because we are not fighters. Not because I'm not a fighter. It is just that when I went through this reassessment of the impact on my family first, the impact on you, my supporters. Your support has been unwavering, as well as undying,"
Suspending his campaign allows Cain to continue to raise and spend campaign funds. Speaking at his new Campaign headquarters in Atlanta, with his wife by his side, Cain said that he had to come this conclusion because of the impact of false allegations on his family. To continue his quest for the presidency Cain would have to overcome polls which show that a majority of likely U.S. voters say Cain should end his bid for the GOP nomination and his that his support in Iowa is plumeting. Cain would also have to overcome his recent inability to articulate foreign policy positions as well as the allegations of sexual harassment and an affair.